In this article, I have provided few diamond buying tips which should be usefull to you at the time of purchasing diamonds. If understood and followed properly, these would help you in making a wise decision while purchasing the diamond of your choice. Almost all jewelry retailers have the identical pool of precious stone and precious metal resources throughout the nation. The visible difference is exactly how much profit they would like to make from you for the sale from a jewelry piece. A lot of jewelry stores hold the same or maybe comparable designs of jewelry, but you may find completely different pricing for them. So, you should definitely look on the internet, and do a little bit of research before you buy any diamond jewelry. OK, now let’s look into a few tips and considerations that should be given while purchasing diamond. 0.9 vs 1 carat: The price of diamond increases exponentially with its carat weight. So, if you have limited budget and looking for 1 carat diamond, then instead go for 0.9 to 0.96 carat stone of similar quality (cut, color and clarity). This will not only save lot of money, there won’t be any perceivable size difference as well. Diamonds are more expensive per carat, if its weight is a full-carat (1, 2, 3 etc.) or half-carat (0.5, 1.5, 2.5 etc.). A diamond that is slightly below a full or half carat – such as a .98 carat diamond or 1.46 carat – is dramatically cheap and a wiser choice than its closest full or half carat stone. The difference in size is undetectable. Also, your jeweler should have absolutely no problems fitting the diamond into a setting made for a stone with a full carat value. Diamonds are more rare and expensive at higher carat weights, which is why three 1/3 carat diamonds are collectively worth less than a single 1 carat diamond. You can use this to your advantage and opt for a three stone ring with smaller diamonds rather than a ring with a larger center stone (provided you are not looking for a big solitaire). If a diamond inclusion or flaw falls too close to the bottom of the diamond, it may be reflected and mirrored all around the diamond, creating illusion of more no.of inclusions than there actually are. So, avoid such diamonds. Always pay attention to clarity while purchasing higher carat weight diamond. This is because, as the size of diamond increases, flaws and inclusions are easily visible. I don’t recommend wearing the highest clarity grade diamonds, because clarity of a VVS or a flawless diamond may lower down to VS or even SI grade due to regular wear. Quite often, jewelers cover up small flaws in the diamond by putting a prong over them or by setting them in a mounting that covers up these flaws (like in a Bezel Setting). Although, this is not a bad practice but the truth remains that they may not disclose the fact that there are additional flaws that are covered up or unseen. So, it’s always good to buy the certified loose diamonds and have them set later in a mounting of your choice. This way you can see and view the entire Diamond inside and out, and avoid getting misled. If the diamond is clean to naked eye, then it’s the cut of diamond that imparts it the maximum sparkle and brilliance. So, don’t be too considerate about high clarity grade, instead if diamond is eye-clean then give attention to its cut. How to judge color of diamond on your own? Take a pure white business card, fold it in half and lay the diamond table down in the crease. If you pick up any yellow then it means that diamond is no better than K grade. D-F is an ideal color grade but G-H is still considered colorless. I-K diamonds have very faint yellow tones that can be masked in a number of ways. For one, setting an I-K color stone in a setting made of yellow gold will offset the yellow tones. A brilliant round diamond hides color the best and is less likely to reveal a lower color grade in its corners because it has no corners. Lack of corners also makes it a more robust stone and less likely to chip than the pointed tip of a pear-shaped diamond or marquise diamond. Brand name doesn’t matter. 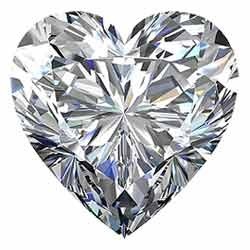 It’s just a marketing strategy that states De Beers’ diamond is superior to Australian, Canadian or Russian diamond and vice-versa. Let me put this way, irrespective of who the miner is and from where diamond is mined, diamond will always be diamond. Every diamond syndicate sells all qualities of diamond. Always ask the seller for independent 3rd party diamond grading report (GIA). This will ensure that you are getting what you are paying for. Never forget to ask for origin of the stone. After all, you will not like to wear a ring with conflict diamond set in it. How much to spend? It is often said that as a rule of thumb, you should spend your 2 month’s salary while buying diamond engagement ring. But, don’t forget that this rule was formulated by diamond cartels. It was just a marketing gimmick to get consumers spend as much money as possible. So, spend according to your budget and what is affordable to you.